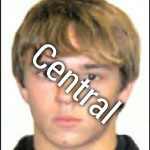 Collin Groleau - Central College - Purler Wrestling Inc.
Asics Folkstyle Nationals placed 7th All American. Champion at Rockford East tournament, Morton Invite, and NIB12 Conference. Most Valuable Wrestler Award at Morton Invite. Freshman year Fresh/Soph State placed 8th. NHCSA National Duals team Ragin Raisins pink team record 7-1, Individual record 5-3. Gabe Pleasants of Morton IL. Vaughn Hobart of Pontiac IL. Nick Delporte of Rolling Meadows IL. Dalton Lawver of Rock Island IL.